We use the apps we make everyday . . . that's how we know they're good. The NOAA Ocean Buoys application provides users with access to live data transmitted from over 100 buoys scattered throughout North America, Alaska, Hawaii, Canada, Europe, and the Caribbean. Buoys provide information about current wave heights, wave periods, wind speed, wind direction, air temperature, water temperature, atmospheric pressure, pressure tendency, and dew points. One of the best tools for professionals and general ocean enthusiasts alike. 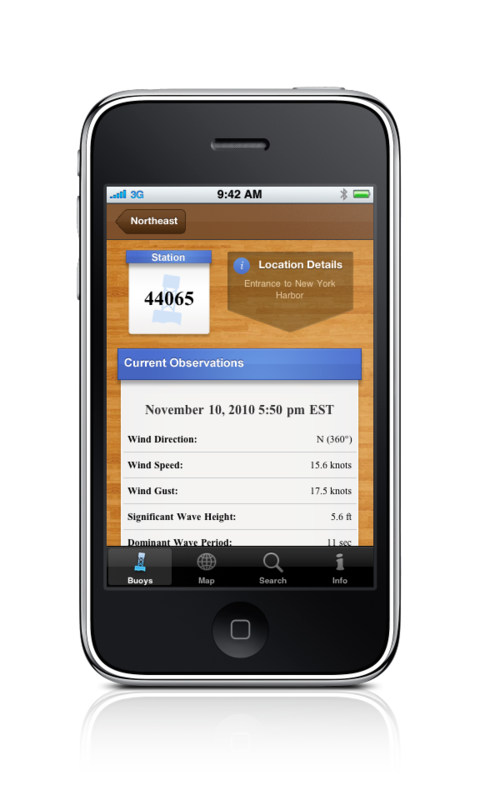 This application is perfect for surfers, sailors, mariners, fisherman, divers, wind surfers, kite boarders, kayakers, lifeguards, beach goers, and anyone else looking to know current conditions of the oceans and beaches near them. Buoys can be found based on their region or by using the interactive map provided that uses precise GPS coordinates of each buoy’s location to create a visual tool to find buoys of interest. Buoys can also be searched for by their station Id’s or using search terms that may describe their location. Planking is the social trend of laying face down with your arms to your sides in unusual public places and taking a picure of it. Made popular in Australia, the social game provides entertainment by having people take photos of themsleves and their friends planking in these unusual places. The success of a plank is determnined by the difficulty and the creativity in which the plank occurs. Our planking app allows people to share their planking photos by providing and outlet for uploading their images and having a public gallery where all users can see each other's photos. Our app also has a gallery of featured images that our staff has deemed to be the best ones over time. Copyright Asbury Mobile, LLC 2014. All rights reserved.